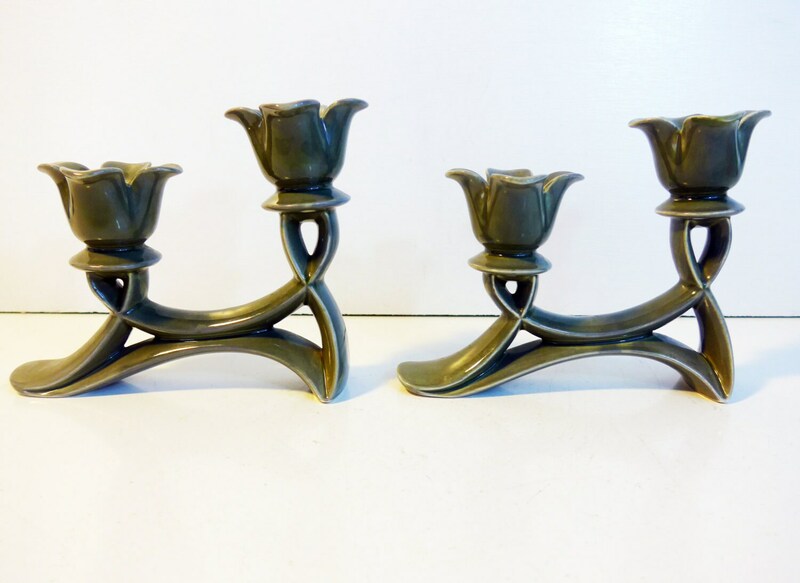 Pair of gray/green colored double candle stick holders by Roselane Pottery of California. 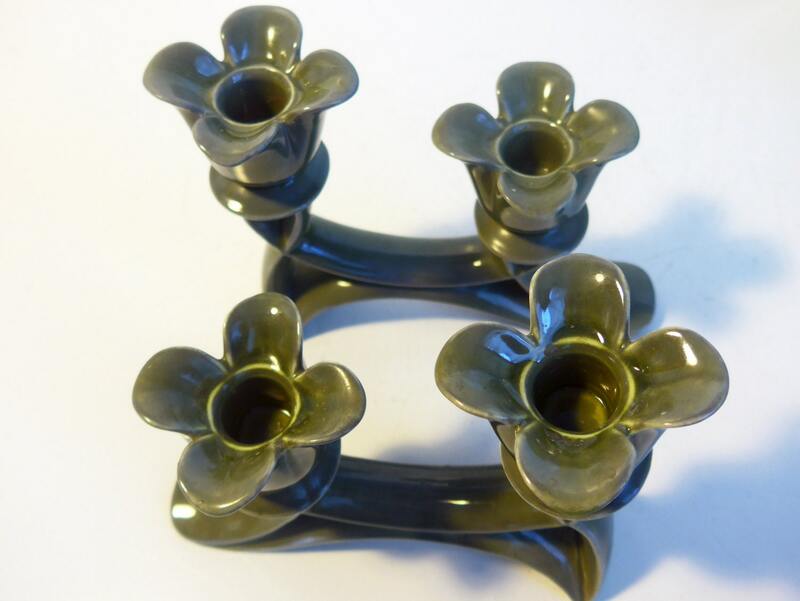 These are mid century candlestick holders and feature floral shaped sections where the candle would be held. 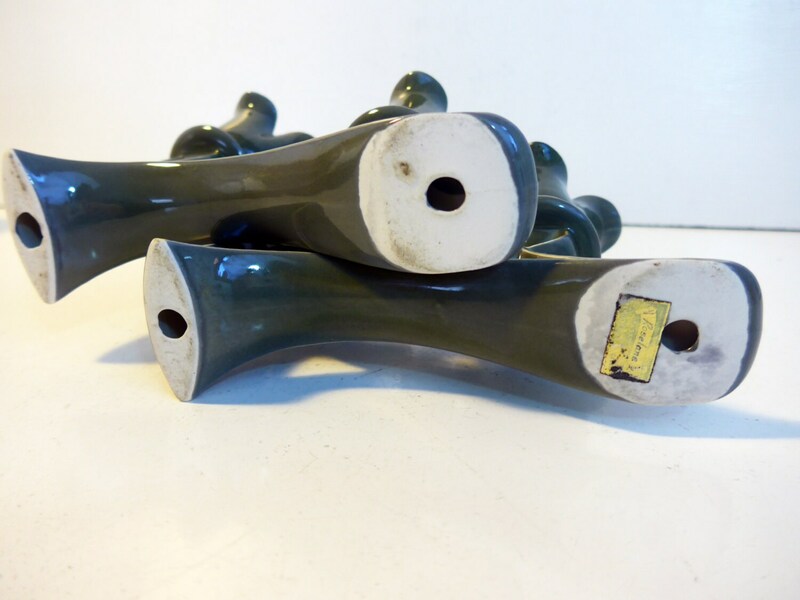 The bases have a curve to them, with one end being a wider foot than the other - see photos of the bottoms. Measure 6 1/2" long and 5 1/2" high at highest point. Are about 1 1/2" wide. In nice vintage condition with no chips or cracks. 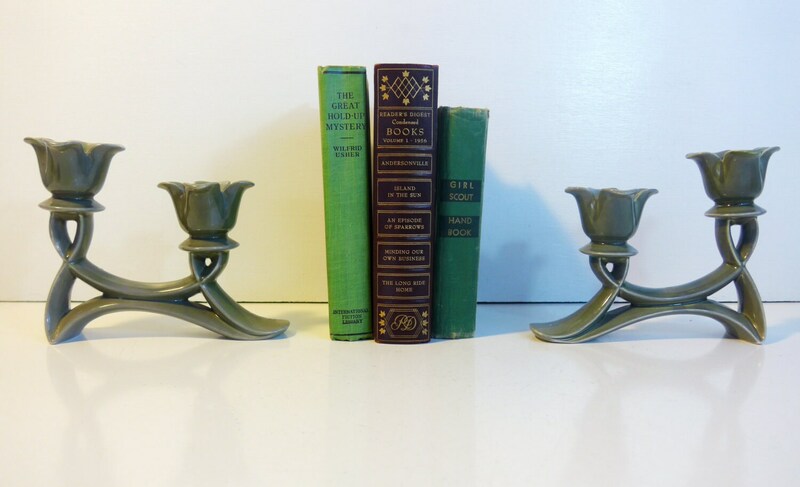 Original sticker is still intact on one of these retro double candle holders. Wear on bottoms commensurate with vintage age. 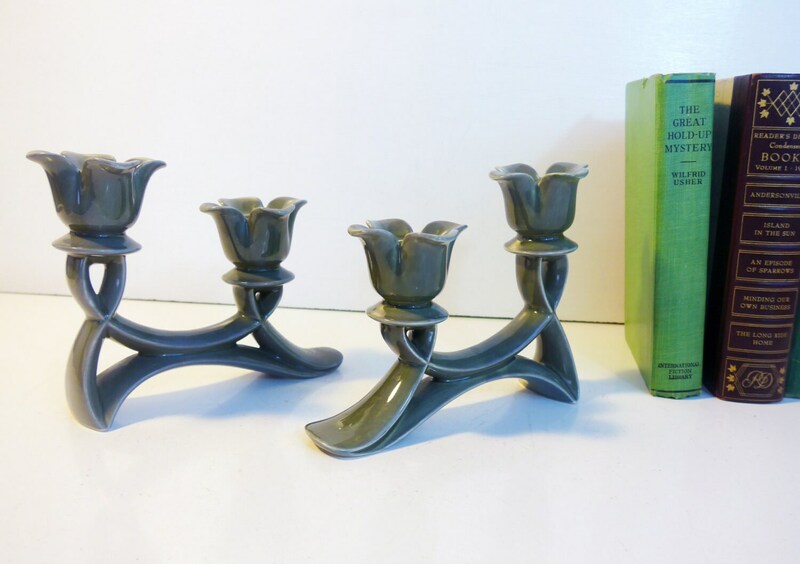 NOTE: Roselane Pottery of Pasadena, Baldwin Park, California was in operation from 1938 to 1977.